Your full-size house isn’t the only one to decorate this season. 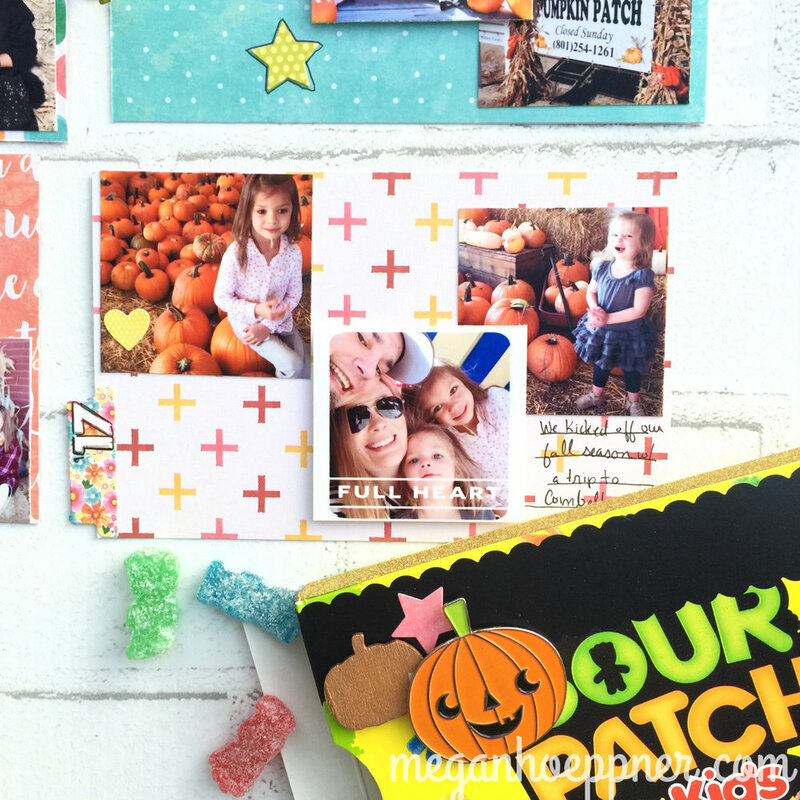 Create a bitty shadowbox house to display your favorite Halloween photos. Heck! Why not make a house for every holiday? They’re fun and easy to do. 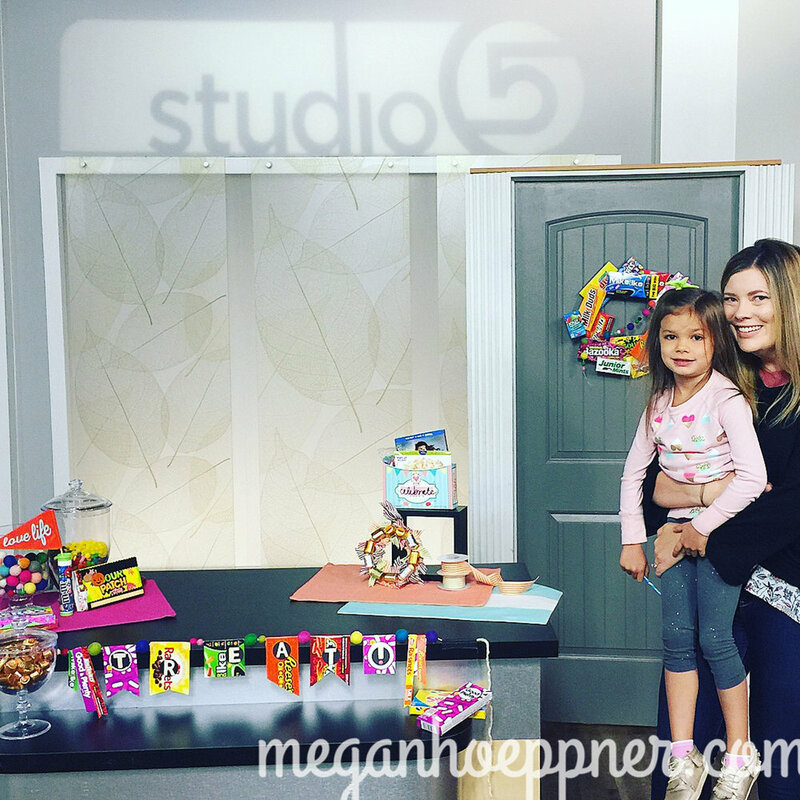 See how to make your own house shadowbox today at 11 AM on Studio 5. Watch live online. Embrace the box’s depth by filling the little compartments with layers of detail. In this frame, I used Queen & Co’s Rectangle Shaker Kit to create an interactive shaking element. This window pulls out to reveal an accordion-folded section, made with paper from Echo Park Paper Co. and embellishments from Simple Stories. So cute! Surprise! Add journaling/written details behind a little flap. The paper clip helps indicate the lifting mechanism. If you’re here because you already watched the show and are interested in participating in my planner swap, check out this photo on my Instagram account to sign up. 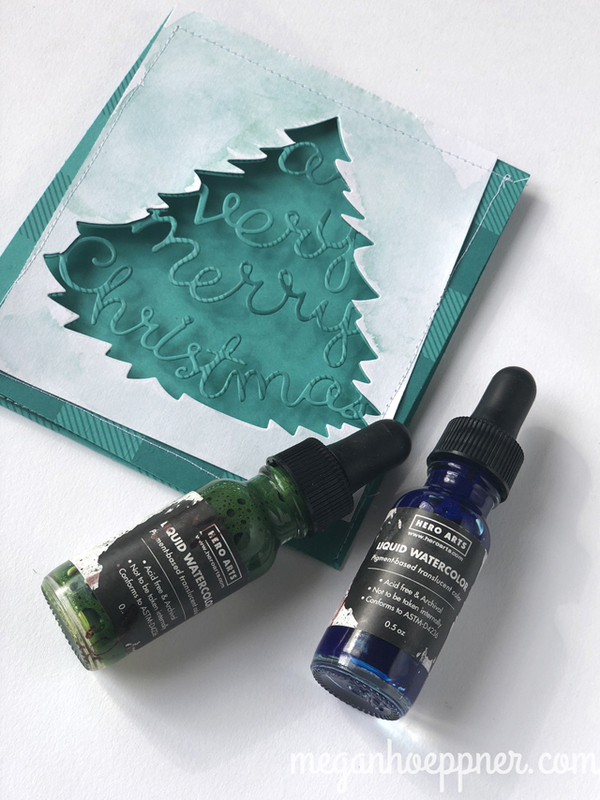 It’s a fun way to get new supplies and enjoy a little snail mail. If you’re here because you want details on the AWESOME Freak Show/Circus photo shoot we participated in, you’ll want to check out Jennifer Lyn Lance on Facebook. She has new themed shoots all the time and also does gorgeous photos for your favorite occasions—newborn, cake smashing, holiday, and more! Hello, hoppers! I just love hopping around the Christmas tree... Wait! Christmas!? In August!? You betcha! 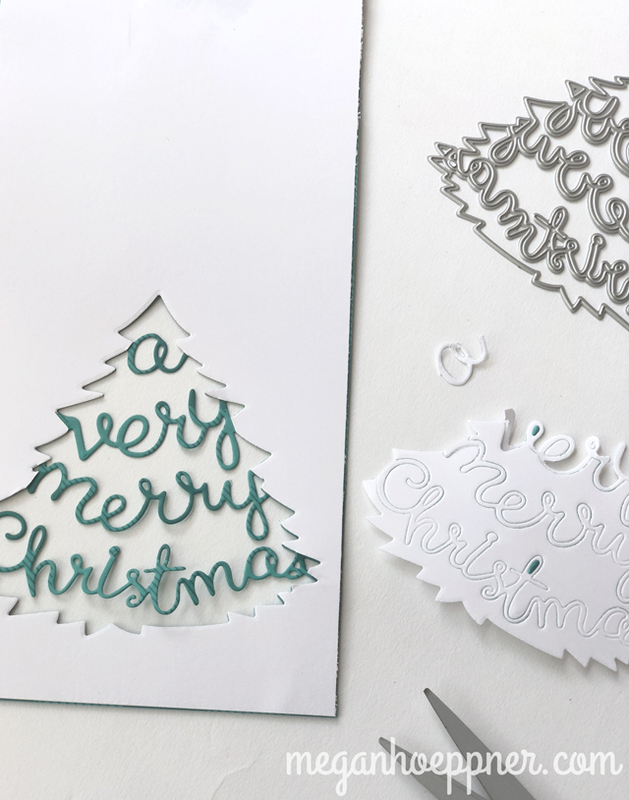 If you’re a card maker, you know it’s never too early to be thinking about your next handmade design. 1. Is the card bulk-friendly? Will the supplies stretch and are the techniques simple enough to be done in multiples? 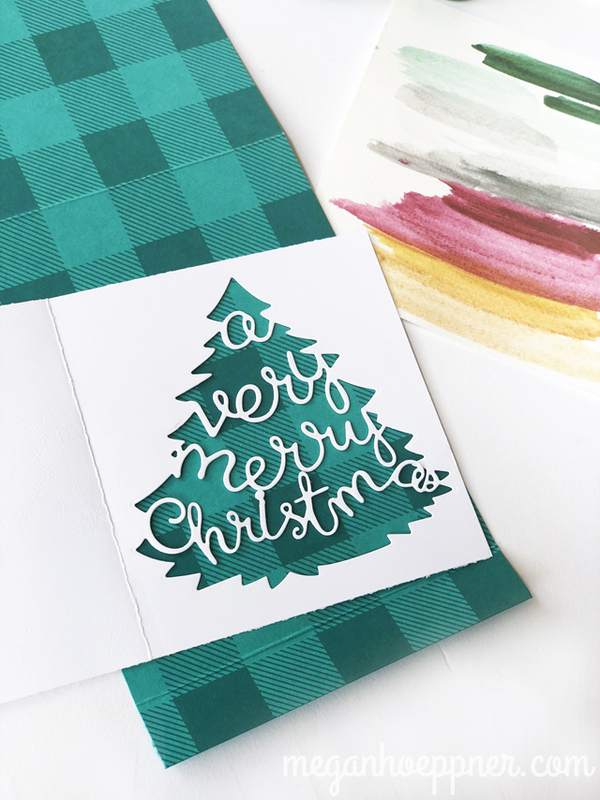 I typically make between 75-100 cards each Christmas, so my design must pass this test. 2. Does the card support an inclusion? It needs to have space for a family photos and a message of some sort. Thanks to the awesome new dies, stamps, and ink from Hero Arts, the cards I’ve created for today’s hop pass my test. Let’s take a look! White on white on white—it’s elegant and, despite its lack of color, can be quite interesting. The trick is texture. Where color lacks, various textures will add interest. To create my textures, I used two new Hero Arts dies—the Woodgrain Texture Fancy Die and the Paper Layering Neighborhood Die. I die cut both from white cardstock and then stitched the ‘hood to the wood. 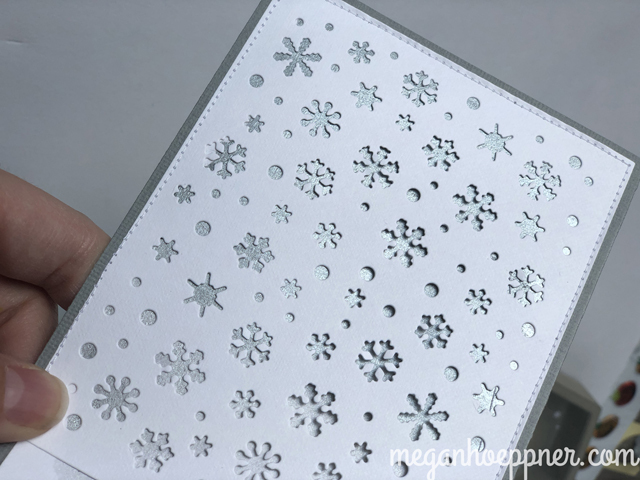 The bitty snowflakes come from my third card. This gorgeous neighborhood scene made me think of a snow globe, so the flakes were a must. I love placing our tree in the center of our front window. It stands out as a holiday focal point. 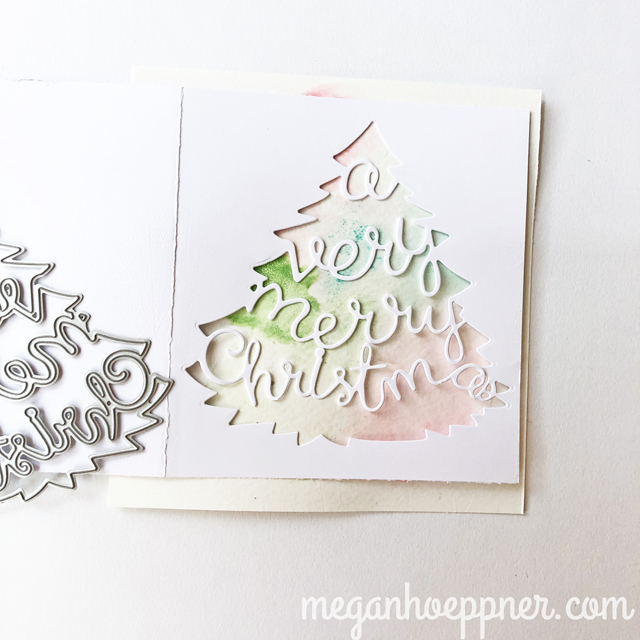 Perhaps that’s why I had my eye on the Very Merry Tree Fancy Die--it creates a window card! The window offers much creative potential. Have fun exploring options. Design backgrounds to place behind the tree. See what speaks to you. Here it is with a Glimmer Metallic Ink background. Shiny! Here's a softer, watercolor background. Soothing! Or, one of my fav window card pairings, a photo! 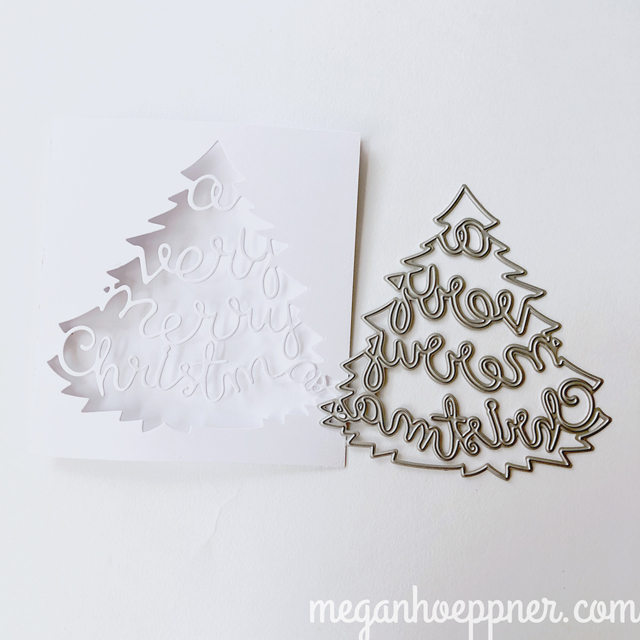 Also, cut the tree from various paper types (patterned and solid) and see what stands out. I decided to watercolor the front lightly. 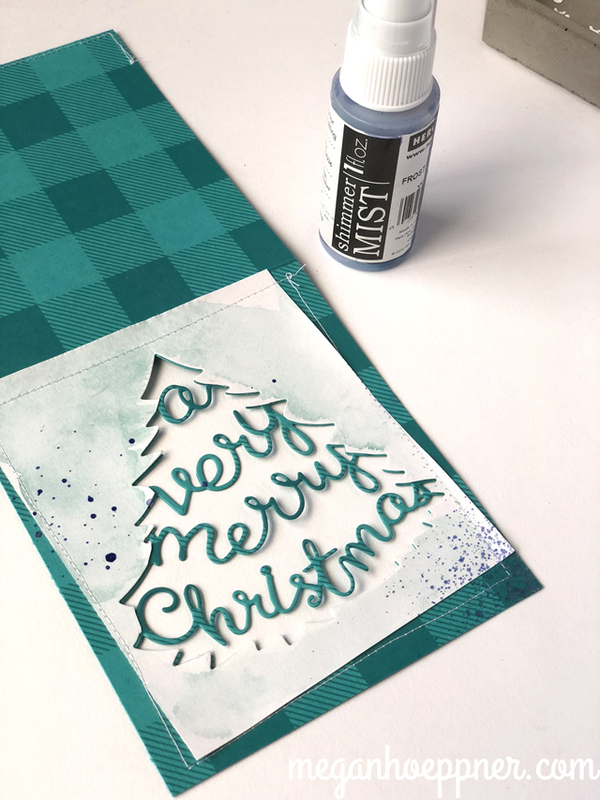 I wanted a color that matched my patterned cardstock, so I combined 3 squirts of the blue to 1 squirt of the green, making sure to also add plenty of water. I then used the pretty Frost Shimmer Mist to add a little splatter texture. Uh oh! I painted this animal using the Glimmer Metallic Inks and hated it. When working with a new project, it’s always wise to take a test drive before committing. Oh, how I wish I had done so here so I didn’t end up wasting a die cut piece and the paper to make it. D’oh! I cut the back of the card base longer than the front and folded it up to create a pocket for a photo. The stitching along the sides ensures it stays in place, but you could also use staples or strong adhesive here. This window die offers SO MUCH potential. 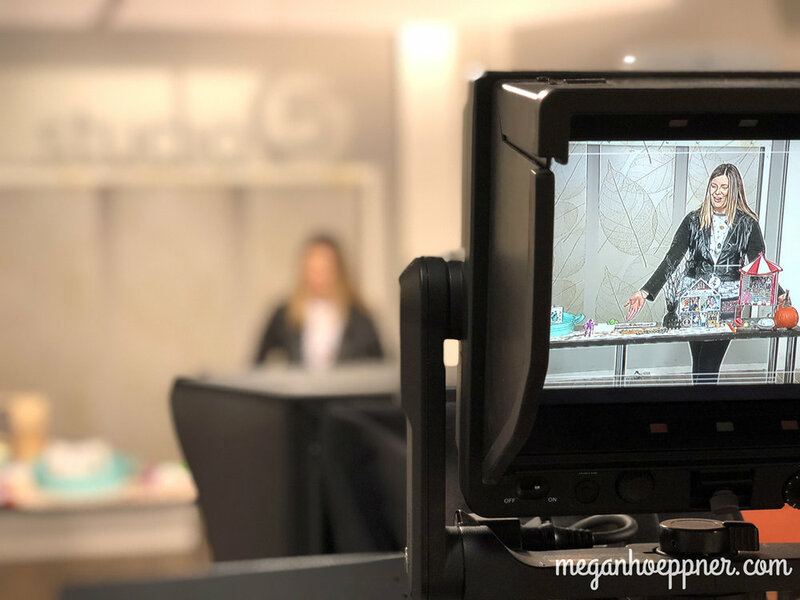 It’s why I included it on my latest Studio 5 TV segment—Five NEW Must Have Items. I wanted to create motion with this one, so I created a pull-out element. First, I used the yummy Pewter Glimmer Metallic Ink to paint the insert. 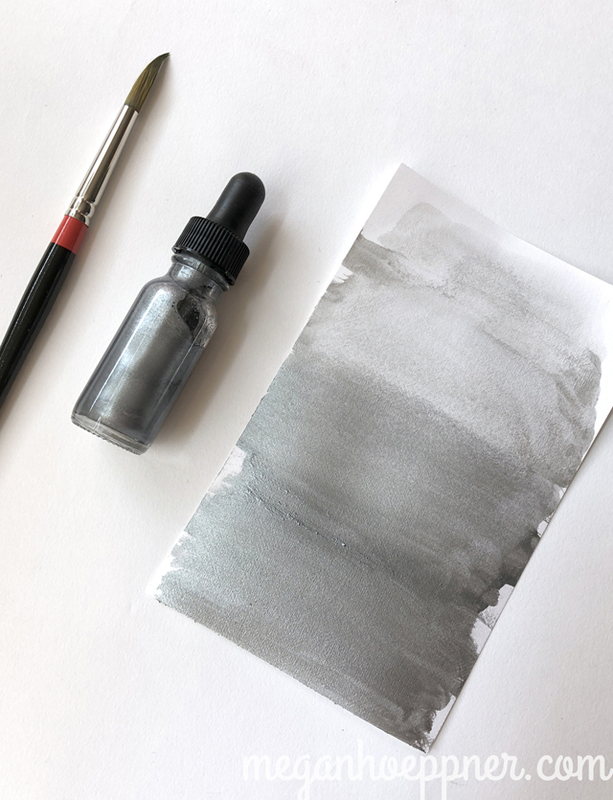 This ink can be used in its full capacity or watered down to a lighter shade by mixing water. I did a little of both to create the dip-dyed look. Once dry (which happens in a jiff! ), I cut the piece to a tag shape. You know I love me some tags! I just adore the sparkle the Glimmer Metallic Ink adds. Plus, you can even stamp on top of the ink for added detail. 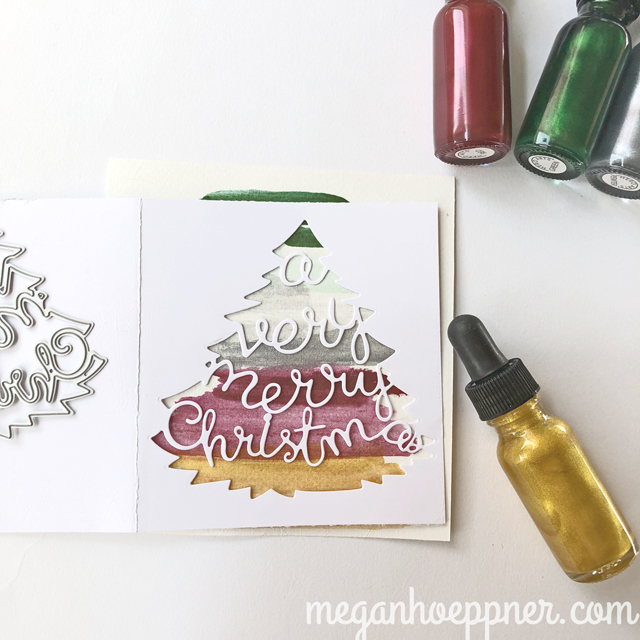 I used the Color Layering Christmas Tree stamp set to add some detail. I also stamped on the outside of the card for a little something extra. 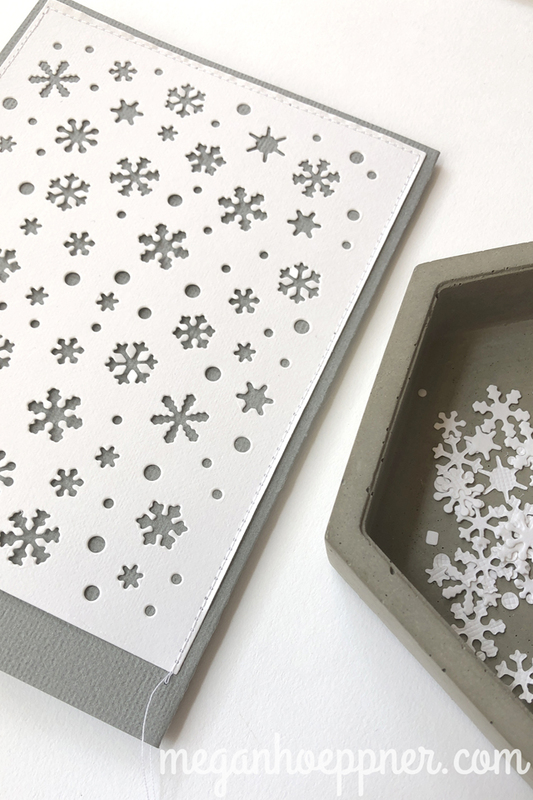 To create the pocket, I used the Snowflake Confetti Fancy Die, stitching the flakes to a gray cardstock piece. I now have a place to put my jumbo tag. As the tag slides out, the snowflake action takes place! Remember! Save those flakes. 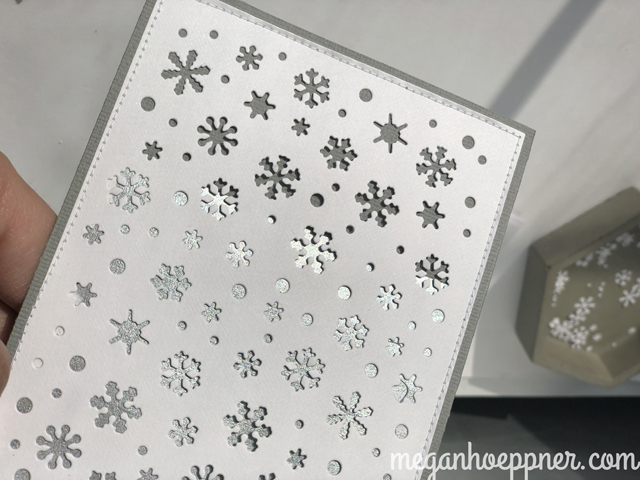 They can always work as confetti within the envelope, or, as we've seen, they make cute embellishments. Now, as you pull the Glimmer tag out, you can see the shimmer in the flakes. I wish you could see it IRL. The glimmer is SO pretty! On this card, a photo can be attached to the back of the tag. An easy way to do this that will make the photo detachable is to use photo corner stickers. 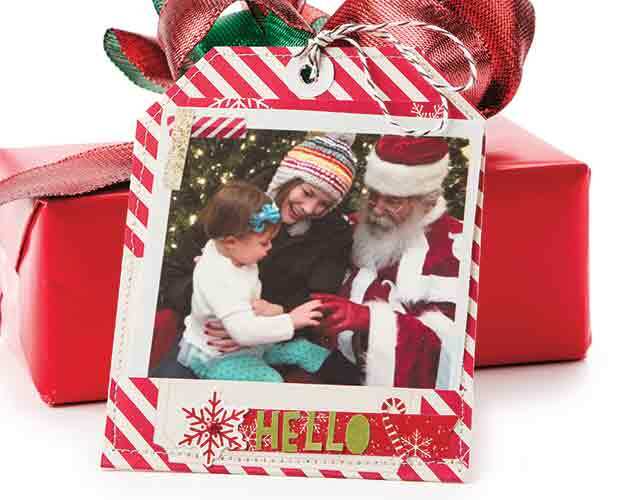 With them, recipients can simply remove the photo from the card and keep it out long after the holidays are over. Sign up today for just $7.99. 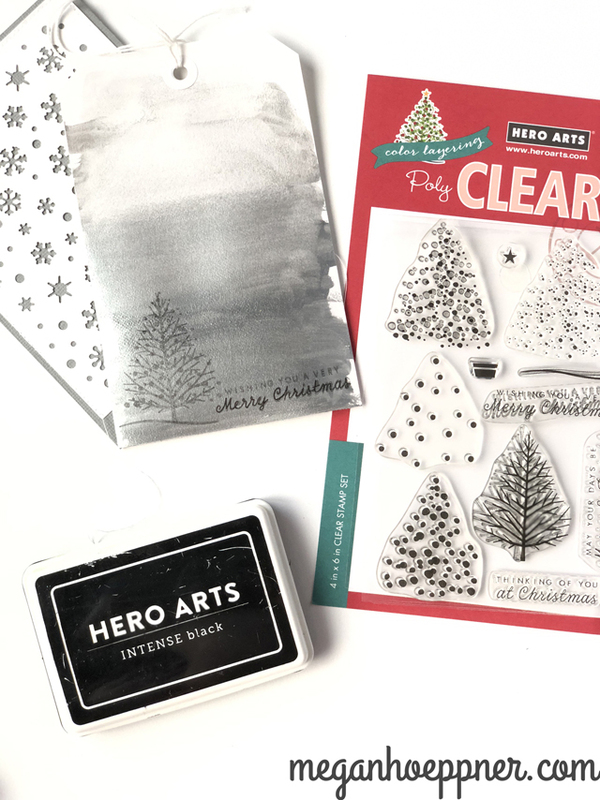 Hero Arts will be giving away two $50 shopping sprees, drawn from comments left across all blogs in the hop. Please comment by 11:59 PST on Sunday, August 26 and Hero Arts will announce the winner the following week. Hey, kid. Rock and roll. Hop on! Ready to get your sparkle on? 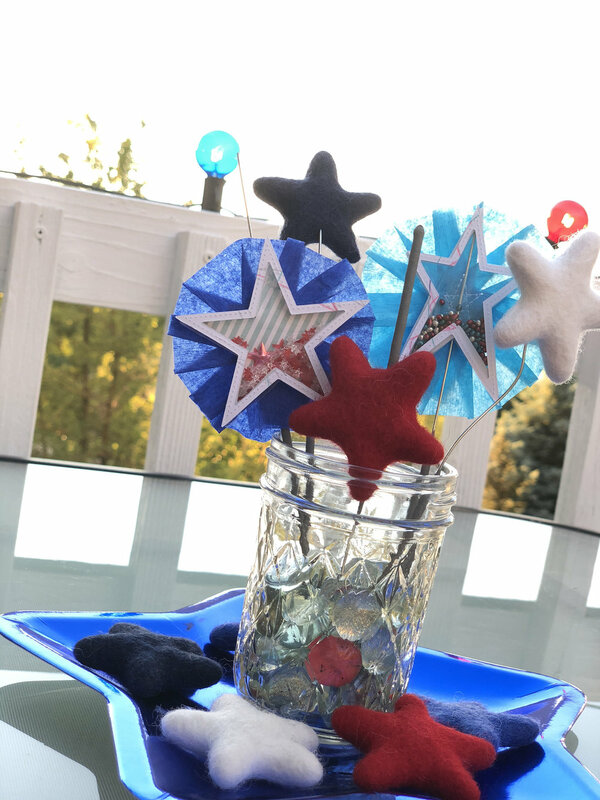 Here are a few ideas to make your July 4th celebration (or any outdoor time) a little more magical. And the best part is, these are far more affordable than buying yard furnishings. Kaboom! I like these fireworks! I shared these projects on today's Studio 5 segment, which you can watch here. For Maggie’s birthday, we had some 30 little people coming to a yard that usually houses two children. This meant some serious overhauls were needed, but I can’t afford to buy three+ $200 picnic tables. Pallets to the rescue! 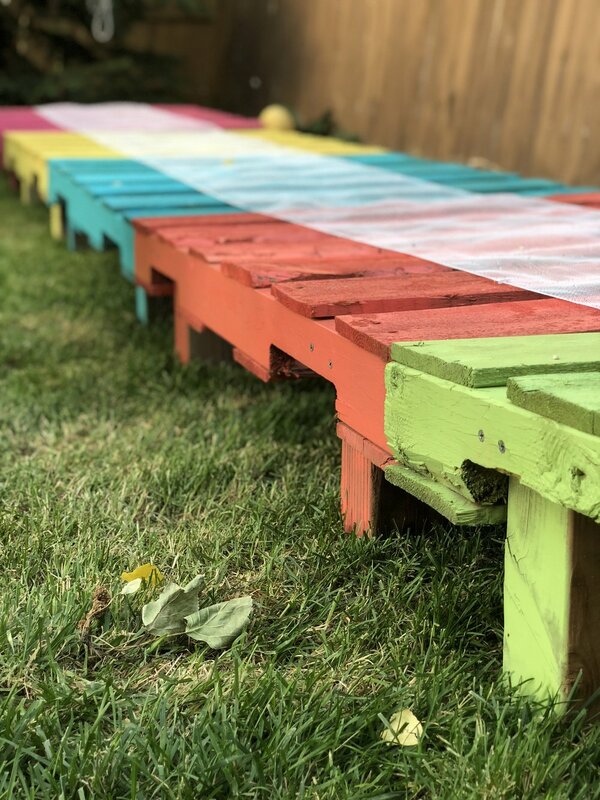 To create these, find pallets that are in good shape. I asked my local greenhouse for extras. If you can’t find any, you can always build some with scrap lumber in the as-is section of your hardware store (or your own garage, if you’re like us). The most expensive part of this project was the spray paint. It took about two cans per pallet. The wood is dry and porous, which drank the paint. My Poppy helped me cut 12” feet for the tables (four per table) from 2x4 boards. We used a drill and screws to attach them. This gives the table some extra lift for the kids’ legs to fit beneath. The large ribbon works as a table runner down the center, while the stringed decor overhead further unifies the space. 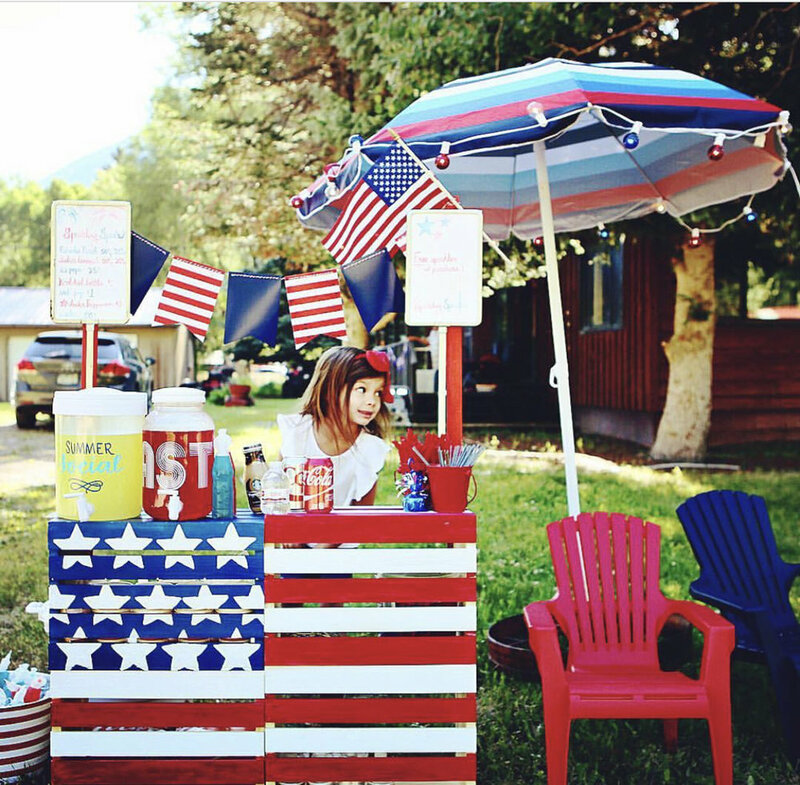 For the Fourth, you can easily go this same route but paint your tables red, white, and blue. That’s the great thing about this craft. It can be customized to fit any party theme or need. It’s SO versatile! Wood to the rescue again. 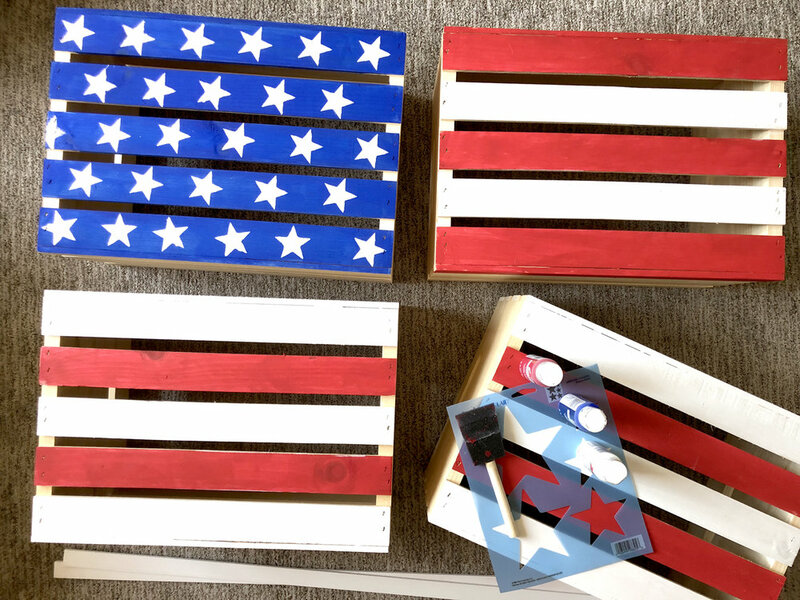 This time, I created a kids’ drink stand and lemonade stand using four wooden crates, which I bought at the craft store. 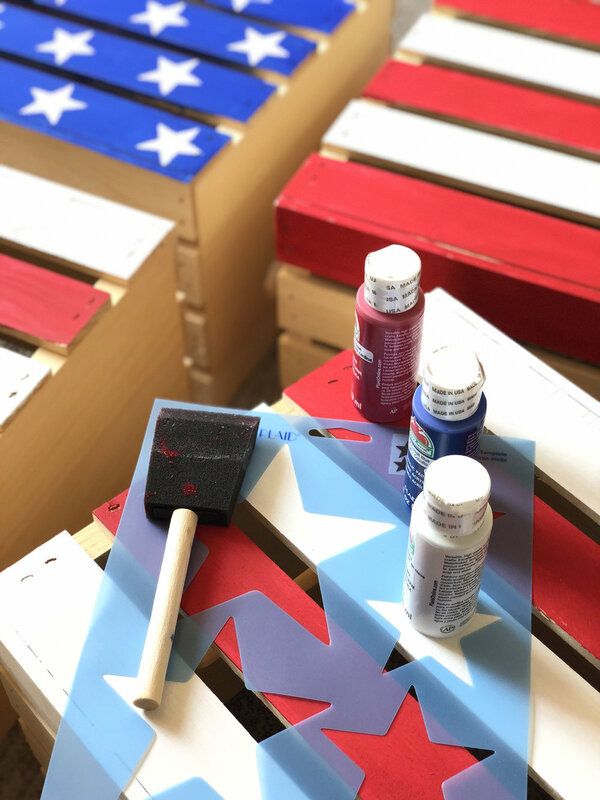 I painted them to look like a flag and used a star stencil for the stars. I used basic acrylic paint on this one. Take your centerpiece from day to night with this idea. 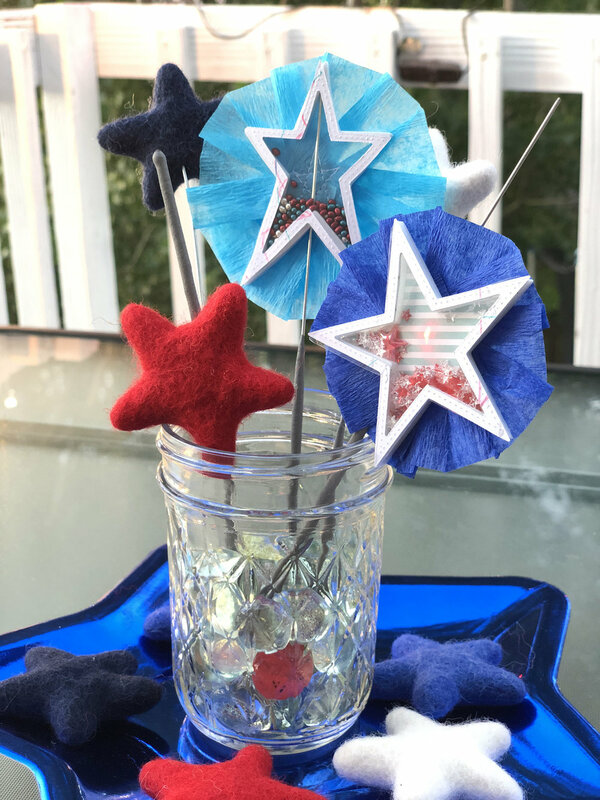 Create shaker sparklers using the Star Spangled Shaker Kit from Queen & Company. I love the trend of felt flowers on floral wire to create flower bouquets. This is the cousin to that. 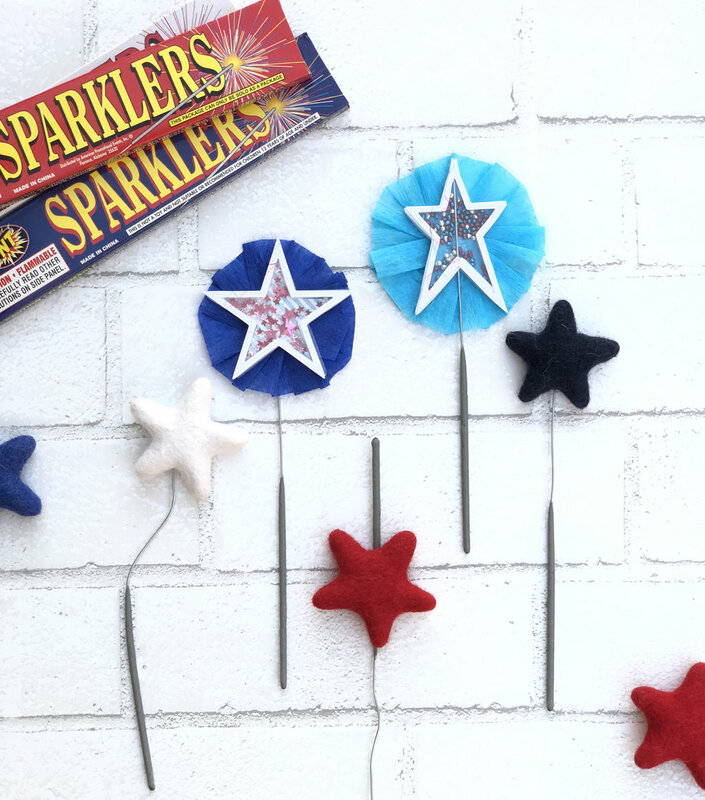 In place of floral wire, use sparklers to spear your felt shapes. For added flavor, attach some shaking fun. First, stitch a background using crepe paper. Next, attach a shaker following the kit instructions. 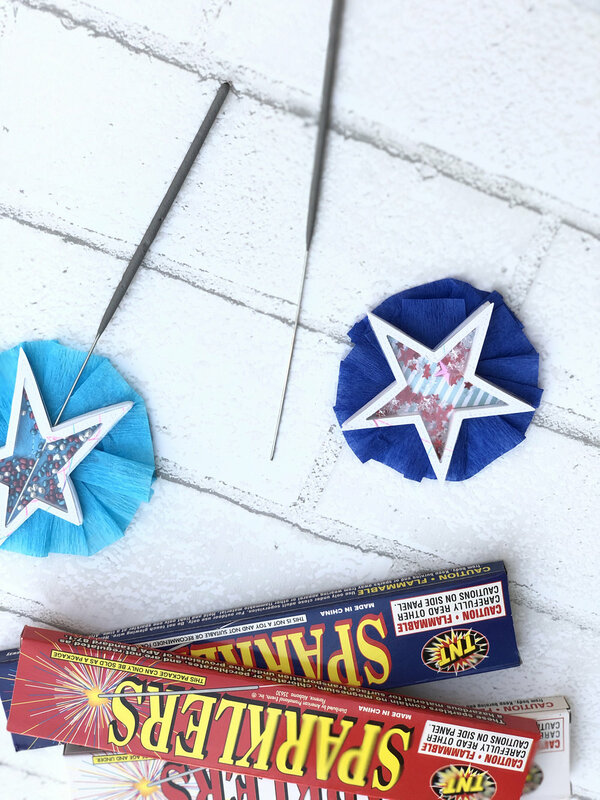 With the shaker made, either spear the sharper end of the sparkler through or tape the shaker to the sparkler. Enjoy the shaker from the parade route in the morning, and take the shaking device to create sparkling fun at night. "Sew it, stick it, do somethin' with it." That's the tagline on the packaging of one of the patches. Isn't it perfect?! There is so much you can do with these little textured treats. Whether you sew it on or use it as a sticker, you're sure enjoy working with this up and coming crafting trend. 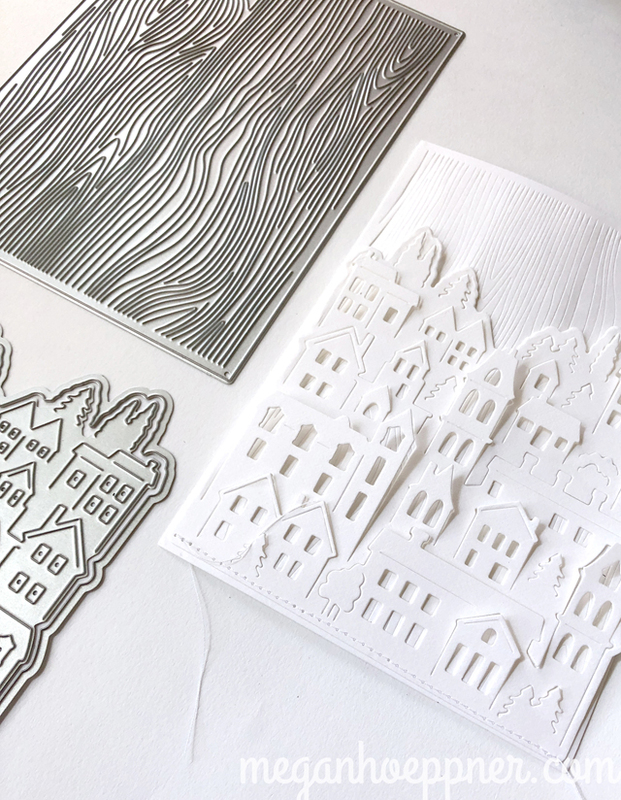 Think beyond clothing and backpacks to paper crafting. Patches are a quick and easy way to add texture without adding bulk. Use them on albums, scrapbook pages, cards, gift wrap, and home decor. Many are sticky-backed, some are iron-ons, and others are meant to be stitched on. Like the enamel pins, patches seem to be a throwback to the '80s. They're back in a big way! Of course, you can use them on your clothing. In fact, many clothes are currently designed with patch designs already in place, like this cute Cat & Jack pack that I picked up at Target (which Maggie promptly claimed as her own). Pair patches with fabric bags to create fun gift wrap or even add them directly to the fabric liner of your planner. Both are fun iron-on options. The peel-and-stick variety stick very well, so proceed with caution but also know they'll stay put, even on textured surfaces like this awesome Jillibean Soup frame. Of course, patches are a natural partner to pair with paper projects. They're flat, so they work well on scrapbook pages. Maggie loved making a quick card and gift bag. You might say these are stickers with pizazz, making they quite kid friendly. Some are small enough to make awesome planner extras. Taco Tuesday anyone? I'll share even more ideas today at 11:00 AM on Studio 5 (Utah channel 5 if you're in the 'hood, otherwise, you can watch live streaming here). I have to give a special shoutout to my help. She made going to the show more fun (which I didn't know could be possible). Thanks, Mags! Take a minute and think “Halloween.” What are the first three things that come to mind? Odds are, candy is on that list. If not, it will be now. 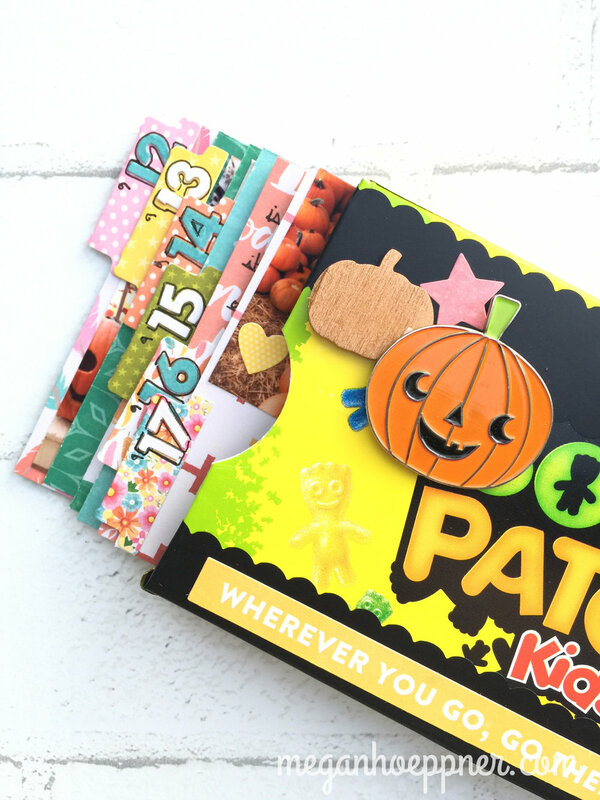 Here are several ways to craft with candy boxes that are sure to make your October even sweeter. I was delighted to share this one on BHG.com (Better Homes and Gardens). You can read the details here. 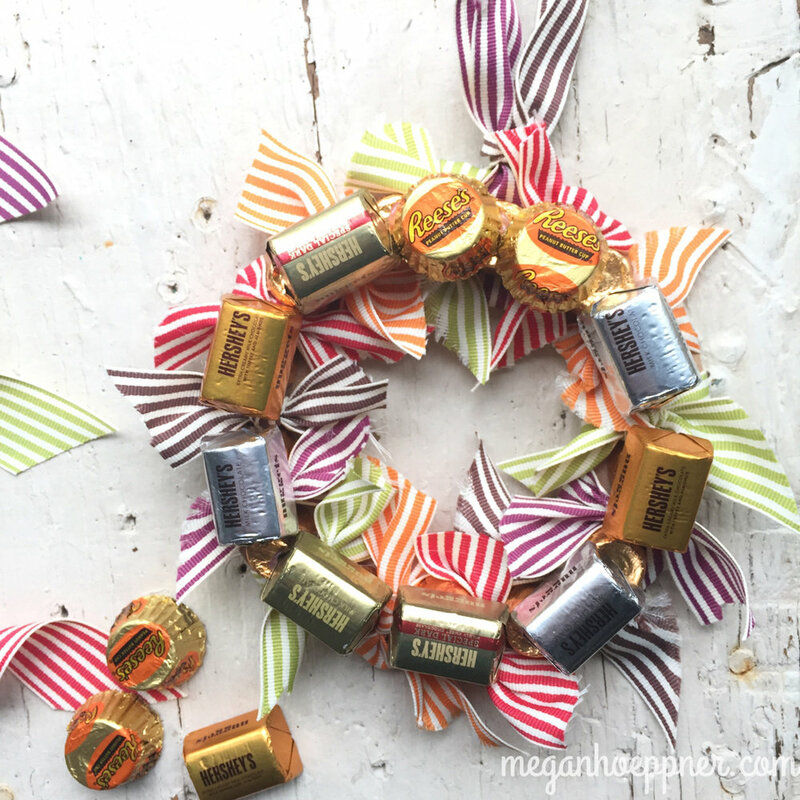 Inspired by my big wreath, I wanted to make a bitty candy wreath. This time, the candy is still in place (the boxes on the big wreath are empty, I’m sorry to say). To begin, I tied ribbon around a flat chipboard(ish) wreath base. I then used hot glue to add a base layer of candy. When it comes to chocolate, I’m all for a second serving. Glue on bitty candy bars and peanut butter cups. This would be a fun treat to take to someone at work, school, church… anywhere, really. After all, who doesn’t love chocolate? Cover the S in Sour Patch Kids, and what do you have? Our Patch Kids! Seems the perfect foundation for a mini album about your pumpkin patch adventures. To alter the box, I simply added some decorative tape and covered the S with a pumpkin pin and a wood veneer pumpkin, both from Target. 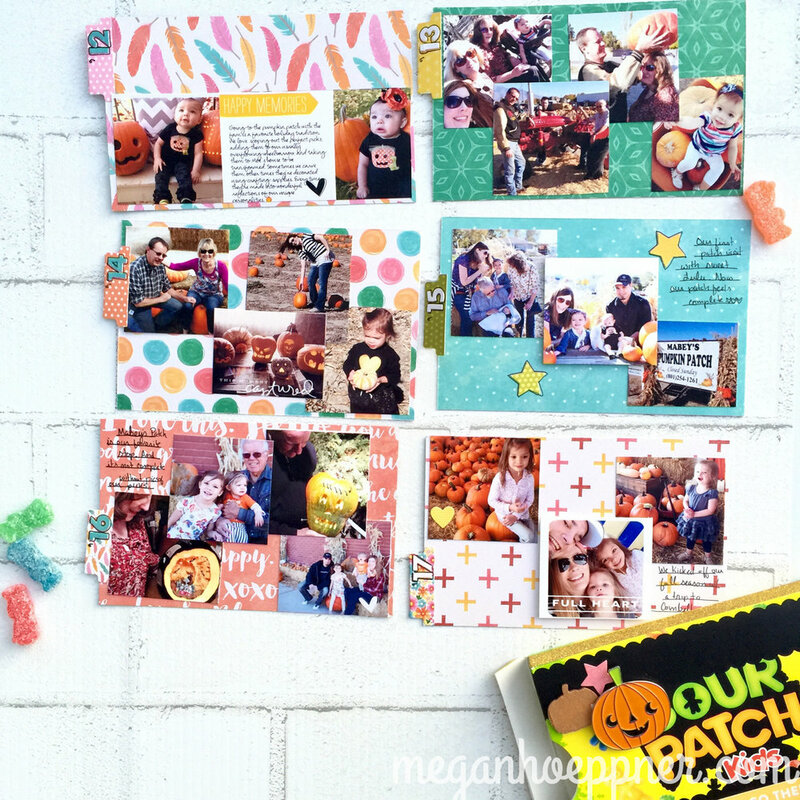 I created a page for each year of our pumpkin patch fun since having kids. This is a super simple way to document a theme. Plus, the sturdy candy box keeps the pages protected, just as an album would. TIP: Opt for a box that contains wrapped candies. The Sour Patch Kids come bagged, so it’s a clean container for my album. You can catch my segment tomorrow (Sept. 26) at 11AM on channel 5 (if you live here in Utah). Otherwise, you can watch live streaming or view it on their site later. Thanks for your interest! Here’s to a sweet fall, friends! A Unique Gift Idea for Mom! This Mother’s Day, fill a pocket page with sweet treats for Mom or Grandma. Divided page protectors (pocket pages) come in many sizes and configurations. Popular brands in the scrapbook market include We R Memory Keepers, SN@P! 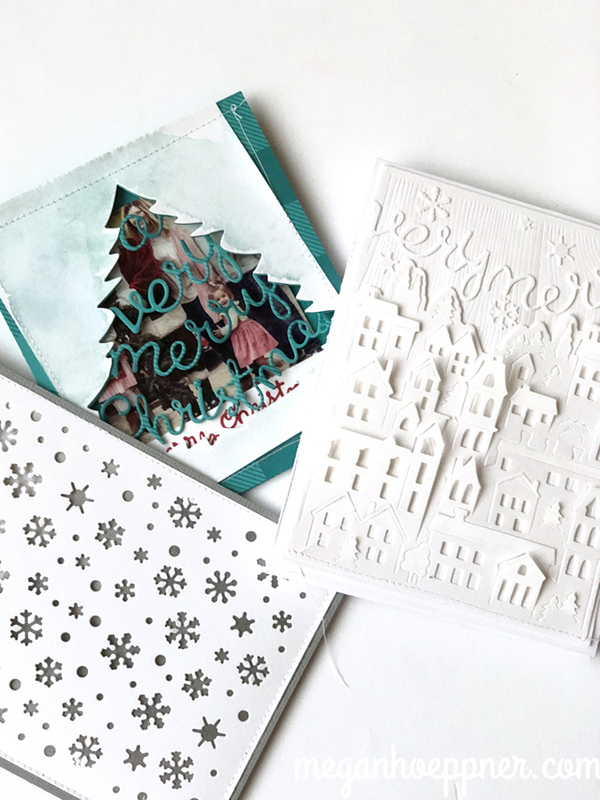 by Simple Stories, Doodlebug, and Project Life. You can get divided pages in sizes ranging from 4x4 to 12x12 and many options in between. Once you know your pocket sizes, you can seek out gifts to fit the small compartments. To fit the necklace in a way that would stand up in the pocket, I attached it to a tag. By snipping the top of the tag, the necklace easily sits in place. NOTE: You may find it’s easier to first seek gifts and then find the pocket page to accommodate. You can sure swap steps 1 and 2 if you so desire. It’s customary with pocket letters to dress up the edge of the sheet a bit (the space where the ring holes have been punched). Washi tape is an easy choice. Just wrap a bit around the edge. I like using a tape wide enough that i can wrap it around the front and back, though this certainly isn’t required. You can leave it here or you can add some dangling doodads. I went with these sweet charms, which are part of the Oh My Heart collection by Paige Evans for Pink Paislee. So cute!! I also added a die cut sentiment from the same line and strung up some felt pom beads to finish the deal. It’s all clipped in place with a bitty clothespin. In my case, I made the photo the focal point across the center of my page. I matted a 5.5x11 image on a trimmed 6x12 sheet of patterned paper, also from the Oh My Heart collection. Being a gift to our awesome mom/Grandma, we’ve included more than one note. Maggie colored Grandma a picture a piece of white 3x3 paper I cut for her. Wanting my note to be a bit more private, I decided to make an interactive note from a sheet of 6x6 paper. First, I folded the sheet in half. I then stitched it together to keep it folded in place. From there, I scored at the point where the 3x6 piece folds in half and trimmed the top portion to a tag shape. I then wrote some words of love for my mother-in-law, tucked the card in the pocket, folded it over itself, and held it in place using a paper clip (the arrow). Oh, and I added a fabric rosette I made. Because this portion of the flip-up note card is on the outside of the pocket, I was able to use the bulkier embellishment. At some point in the process, you’ll want to play with the placement of your various elements. Try different options on for size until you find something you’re satisfied with. 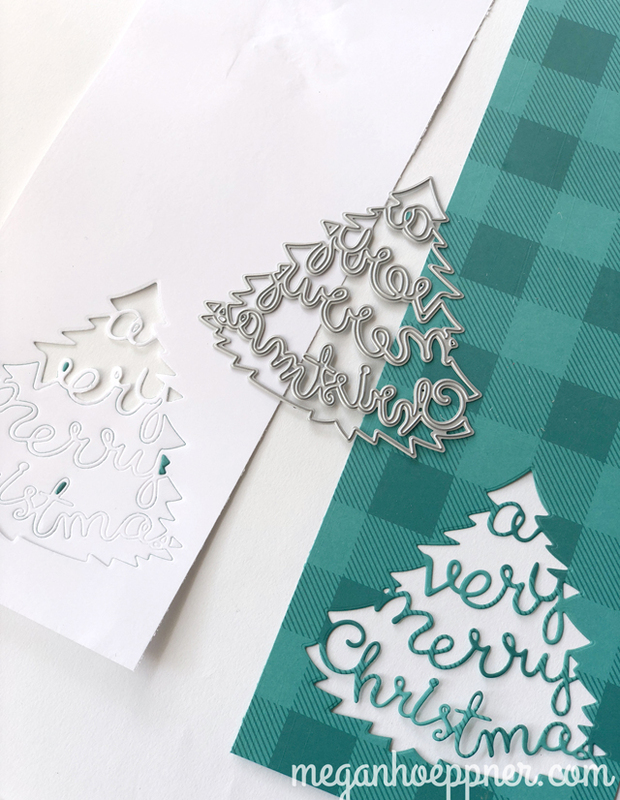 TIP: Patterned paper with journaling cards printed on it are great pocket fillers, as are pre-made die cut shapes. These are from Oh My Heart. A great gift for Mom/Grandma! Confetti always adds to any celebration, so a couple of my pockets are filled with festive bits. To keep the smaller confetti (assorted sequins) contained, I used a small vellum bag. I folded the flap up and clipped it in place. For the larger bits, some machine stitching worked to seal the deal. A gift card to Barnes & Noble will live in the slot to the right. 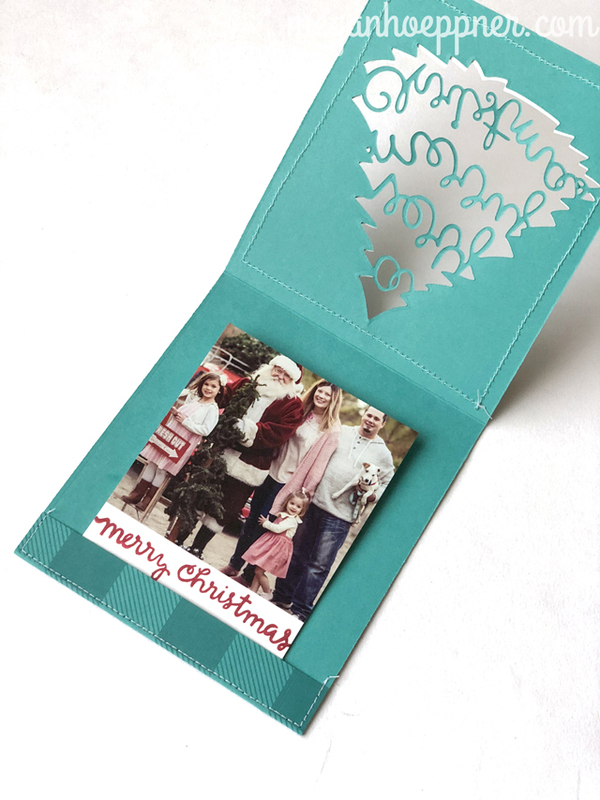 Gift cards are an easy and awesome pocket filler! This is an extra fun idea if Gram is across the miles, as it can easily be mailed without costing an arm and a leg. A large padded envelope should do the trick. Or you can give it to Mama in person, which is all the more fun. Credit for the Pocket Letter concept goes to Janet Lane. You can learn more about traditional Pocket Letters and how to find a community on her website, pocketletters.com. I had lots of fun sharing paper collaged ideas today on Studio 5. Take a look! Put those paper scraps to fun use on some wall art! By layering shapes, it creates interesting texture. The project comes together in a few simple steps. Step 1: Come up with an idea and sketch it. Step 2: Outline your lettering using a fine point pen (mine was a .01 Micron), and punch and tear paper so you can begin filling in your blocks of color. TIP: Use a good quality eraser to remove the pencil lines. I use a white eraser from Faber Castell, which I picked up at Michaels. NOTE: It may remove some of your ink. If so, just go back over it with your pen when your project is complete. TIP: Use a decopauge glue, such as Mod Podge. It is easy to work with and holds well. 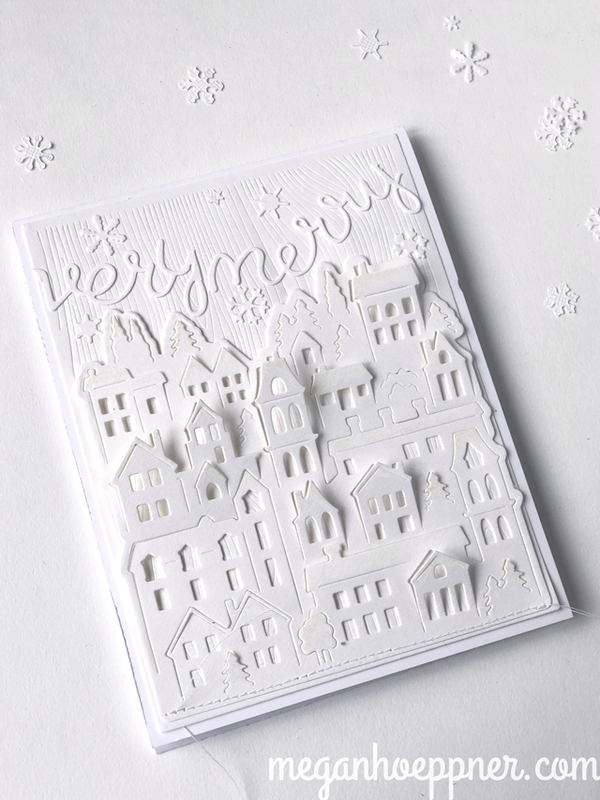 TIP: After creating a few spaces, I realized it's easier to first fill each section of space with a solid piece of the paper you're going to use and then layer the punches. That way, if you have gaps in space, it's no biggie. Uh oh! 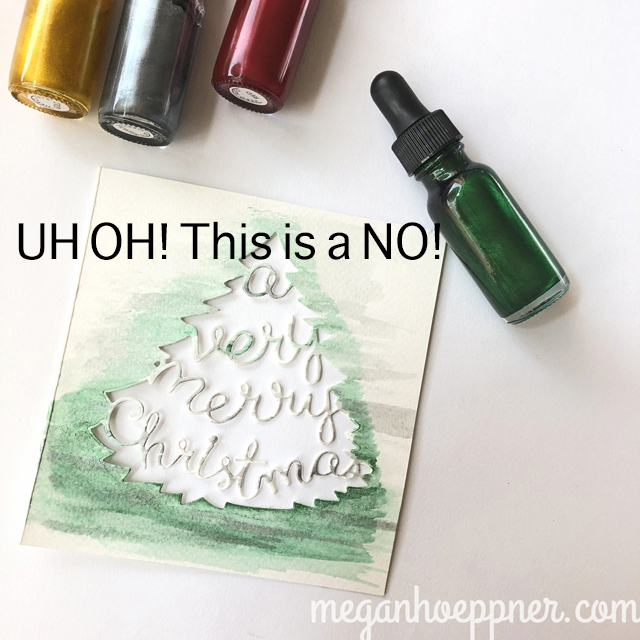 Watch out for Mod Podge smearing. You may want to fill in all of your paper spaces and then trace in ink to avoid this mistake. That's it! A three-step project you can do for or with your children. Or make more sophisticated looks for your living room, office, bedroom... the sky is the limit! Because my daughter LOVES Trolls, I went with this line from her favorite song. That's the fun thing about creating your own art--you can customize to load it with meaningful touches! You can also cut basic shapes and piece them together to create art. Nothing but a few triangles, and I have a sweet little mountain scene shadow box for my baby's nursery. For added touches, I did add a touch of glitter glue in spaces for sparkle. 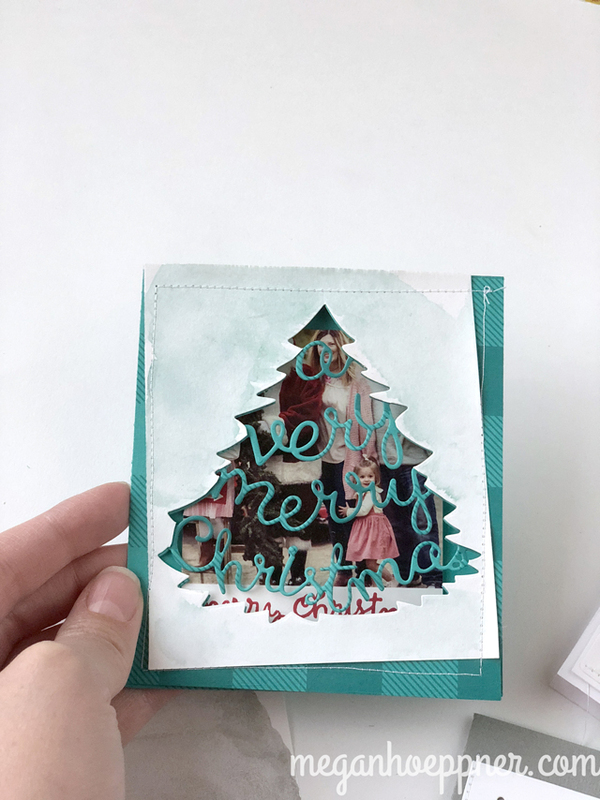 The Wish Upon a Star is a chipboard sticker from Crate Paper. 1. I placed a shamrock-shaped cardstock piece on the plaid paper and sprayed the sheet with green spray ink. 2. I removed the shamrock mask and painted the outer dot layer by dipping a pencil eraser in acrylic paint. 3. Next, I added a ring of watercolor paint. 4. A small row of clear glitter glue (Stickles by Ranger) came next. 5. Time for alcohol ink. I used a Chameleon Pen in a grass green color to add the center color. 6. Finally, it was rhinestones in the center. I used small gems from Close To My Heart. I stamped the sentiment using an alpha set and ink, also from Close To My Heart. Bringing in another medium, I then colored the sentiment using a green colored pencil. We'll learn new planner tricks with each class, and each class will come with a new and awesome class kit. If you've never attended, you can easily jump in at any time. That's the beauty of planners any more--there is no definite start and stop period. Just join when it's convenient for you! Thanks for stopping in. Enjoy your creative journey! Since having Maggie, I've looked for fun rainbow spots to snap quick St. Patrick's Day pics. The first year, I happened upon a little pot o' gold. A wall painted with a rainbow on it. We returned the next year. Poor Mags was sick on this visit, so we only snapped a couple of pics and then headed home. This brings us to 2015. It dealt our rainbow work a double blow. 1. The wall had been painted a pathetic shade of everyday gray. Bummer! 2. I was pregnant and home with an IV much of the time. The combination of these two things put this year on hold. 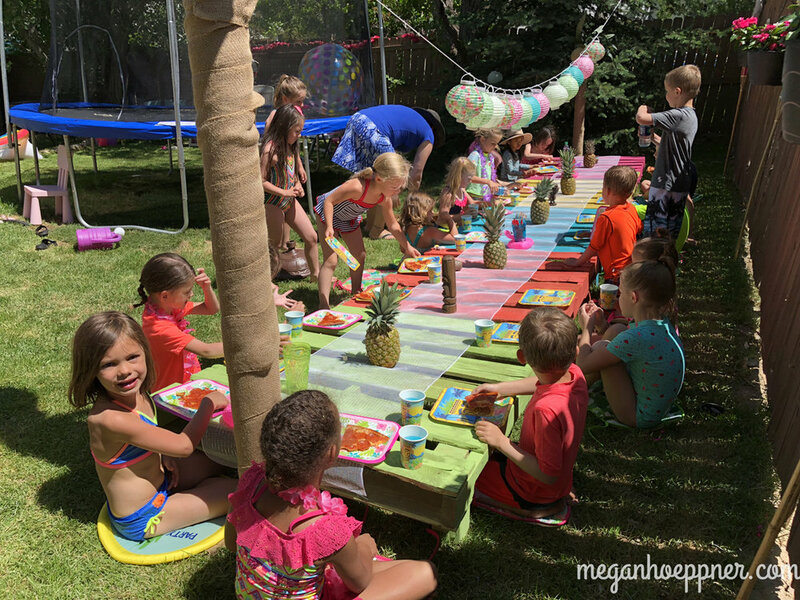 Last year, I had two kiddos in tow, which meant less energy and less desire to seek out the magic rainbow, so I decided to create my own with our sweet friends using balloons. This year, it was paper to the rescue. 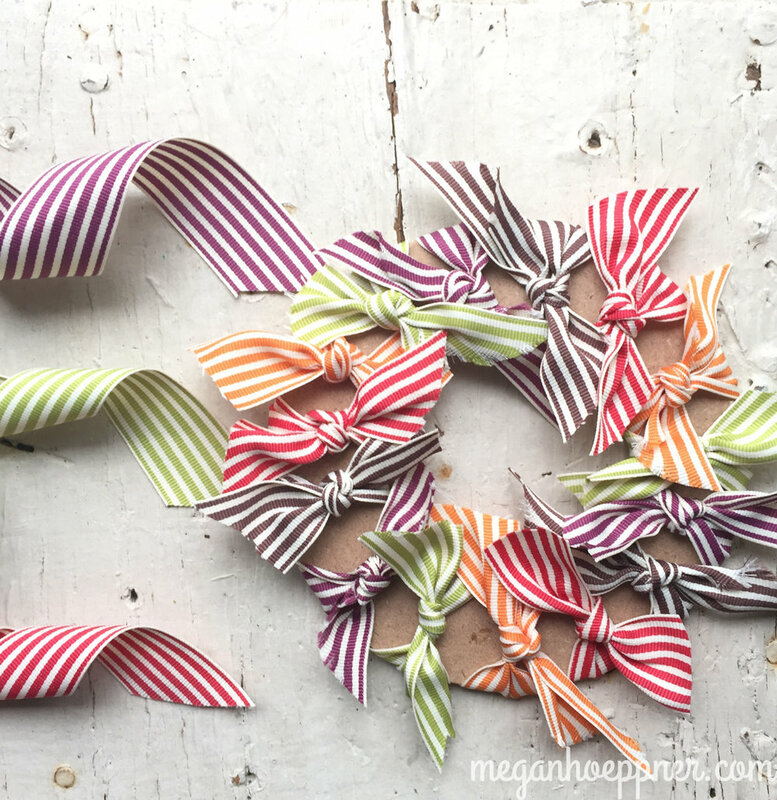 I had just received a box of goodies from Close To My Heart, including a gorgeous assortment of paper offering a full spectrum of color, so I set to making paper chains. Once complete, I threaded them on a yardstick, which I hung above my table. My paper rainbow makes a nice St. Patrick's Day decor element and also a fun photo backdrop for this year's pics. Since I was feeling lucky and had some pretty new Close To My Heart products on hand to play with, I continued to set the stage with some table fun. First, I covered my kitchen table in kraft packing paper. Then I set to decorating. I framed each spot at the table using the CTMH gold glitter tape and stamped our names using CTMH stamps. Wanting our decorated table to serve two purposes--fun and memory keeper--I drew rainbows across each taped "place mat" so we could write what we feel lucky to have. I loved helping Maggie make her list. What a doll she is! Time for the fun! I gave Mags some colored pencils and let her color her rainbow in. I used CTMH cardstock in three shades of green to create a little pop on my table. Fist, I cut cardstock hearts in small, medium, and large sizes, and folded the smaller two sizes in half to create a center crease. I then stitched along the crease to create the pieces of my clover. I pieced three heart stacks together to create a shamrock. A little stamping along the hand-drawn stem, and I was ready to welcome the luck o' the Irish. I used the Some Kinda Wonderful stamp set from Close To My Heart to create the #lucky tag. I love the end result. I will definitely snap pics to save it in my scrapbook. Since our sweet Lulu is too young to create a rainbow, she stamped a clover with her bitty thumb. Time to add our St. Patrick's Day treats to make the table time complete. Oh, and I've found another way to use the 3D clovers when our table is cleared. I'll send a little luck on to others. I used the same CTMH #lucky stamp, masking the outer frame around it. I stitched a vellum bag on the inside, creating a pocket for some chocolate coin. Speaking of gold coins, I created a few four leaf clover bowls from cardstock to hold my coins and other sweet treats. To create these, I first cut larger paper hearts, cut a slit, pulled the heart onto itself, and stapled it in place to create each clover petal. I then used a scrap of cardstock as a base and glued the petals in place. Once all four petals were in place, my clover dish was ready for it's pot o' gold! Maybe I should move this to the living room, where I made a rainbow garland, with gold on one end and happy cloud on the other. The rainbow is made from one of my favorite crafting supplies--felt beads! The "gold" was punched from Close To My Heart glitter cardstock. I then stitched the pieces together using my sewing machine. All in all, it was fun crafternoon, making rainbows in our home. I look forward to pulling these pieces out year after year to make March a little more fun for my girls. May the luck of the Irish be with YOU this spring. I used it to make quick and easy tags. 12 tags in about 10 minutes, to be exact. Hooray for quick crafts! Step 1: Cut. It. Out. Step 2: Use an existing tag as a template to cut the cards into tag shapes. Step 3: Color (or not) tag reinforcement stickers (you can get a bunch of these at The Dollar Store--score!). Step 4: Punch tags and add stickers. Badda bing. Badda boom. Tags are done! Step 5: Dress up those gifts. I used ours on our neighbor gifts. It added a small handmade touch, which is always nice, even if I am short on time this year. 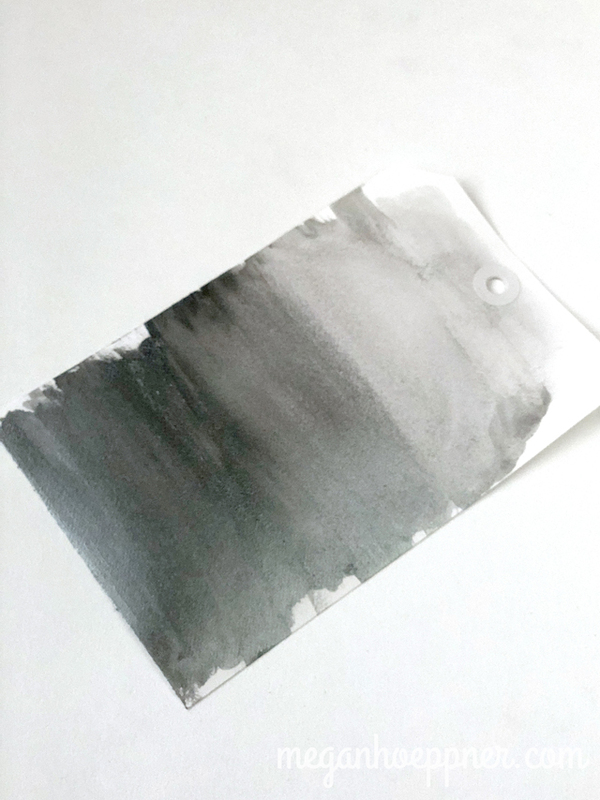 TIP: Many sheets of paper like this (including this one) are double-sided, which means you'll have a two-sided tag, just right for decorating and writing. Step 6: Send your cutest elf and most handsome Santa Man out to make merry. A SPECIAL THANKS to Chocolate Covered Wagon at Gardner Village for providing the tasty treats. They were a huge hit. Another tag idea is to take scraps of cardstock to make mini card bases. 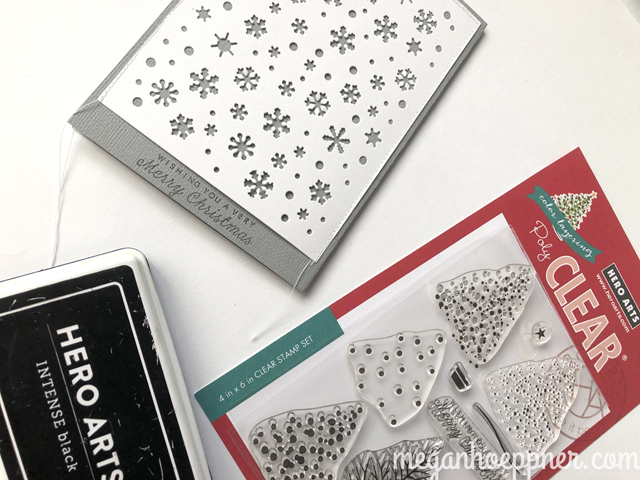 Dress them up with a single accent (I used a piece from my Rudolph book) and you have a bitty card tag--great for gift cards!